This coin drop game is a fun way to raise money for your cause. 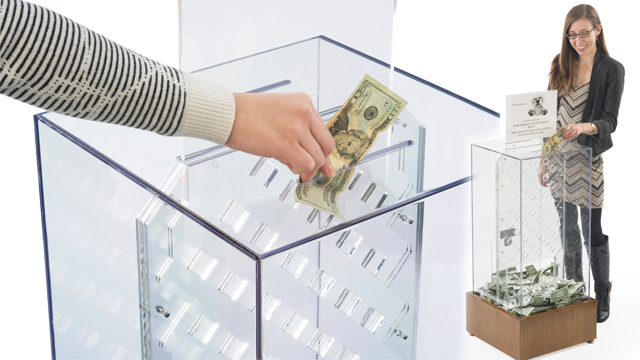 Watch how donations fall through the clear acrylic box! TEXT: "Leveler feet and t-bar inside of base keep the unit stable at all times. Locking door in rear of unit prevents theft and allows easy access to donations. Engage passersby with a fun design to inspire continued play!"